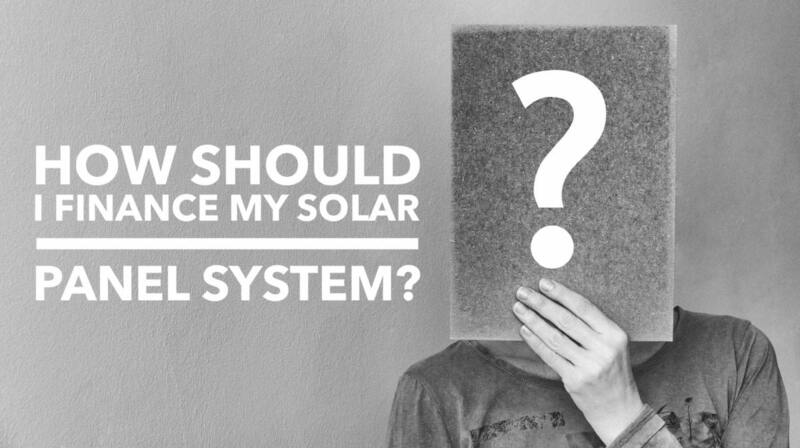 How should I finance my solar panel system? After you get past the mechanics of how solar works, you should come to realize that “going solar” is more like making a financial investment than doing a capital improvement on your home. Sure, we're bolting solar panels to the roof of your home… But, aside from the great environmental benefits, the primary function of solar is to save you money --- or more importantly make you money. Are you better of leasing or buying. And, if you buy... are you better off financing or paying cash? 1 - What Are The Key Elements Of Your Solar Investment? 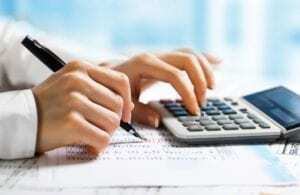 The first thing we need to understand is what contributes to the cash flow of the investment. In simple terms, we need to examine the following equation: solar income + energy savings – solar cost = profit. Income is generated through the sale of Solar Renewable Energy Certificates (SRECs). As registered SREC aggregators, we create, aggregate, sell and dispense the proceeds of SRECs to our clients that purchase systems from us. SRECs provide our clients with 10 years of income averaging about $0.15 of net income for every kWh of solar energy produced. Savings [cost avoidance] is money that you save from not having to pay the utility company for electricity. Fully delivered electric rates (generation + supply) range from $0.125 to nearly $0.20 per kWh in NJ, but we will use $0.15 per kWh for our example. Cost for a purchased solar panel system is the total principal and interest associated with paying for the system. 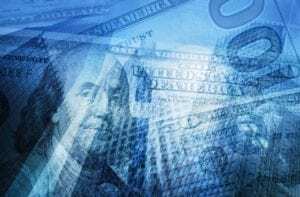 The principal is determined by calculating the fully installed system price less 30% for the Federal Investment Tax Credit. Interest is only included for projects that require solar financing. Cost for a solar lease or power purchase agreement (PPA) is the total of all monthly payments (including annual rate increase escalators) for the term of the agreement. 2 - What Are Your Solar Investment Goals? For individuals that have access to capital (money sitting in their savings account or underperforming investments), investing in solar is a great option. The goal is to get the solar panel system to pay for itself as quickly as possible. This is called the payback period (which can range from 4 to 8 years depending on site conditions)… The shorter the payback period the greater the long term profit… because once the system pays for itself all of the saving and income is yours to keep! EXAMPLE: Let’s assume that the net system price (after tax credit) for a system generating 1000 kWh of solar per month is $24,593. To calculate the payback (using the information for the Components of your solar investment described above), we add $0.15 /kWh in SRECs to $0.15 / kWh in energy savings to come up with $0.30 / Kwh. We then multiply the $0.30 by 1000 kWh per month to come up with $300 per month. Next we divide the net system price of $24,593 by $300 per month to come up with a payback period of 82 months or 6.8 years. Assuming a 15 year time horizon, your total profit will be $29,407. Here we want to use the bank’s money to fund our investment --- with the objective of being cash-flow positive within the very first year of operation. We offer over 100 solar loan packages with terms ranging from 6 months to 20 years. Our most common solar loan term is 15 years, as this typically generates a consistent cash flow starting in the very first year. Let use the same system as described in the example above. Like in the earlier example we add $0.15 /kWh in SRECs to $0.15 / kWh in energy savings to come up with $0.30 / Kwh. We then multiply the $0.30 by 1000 kWh per month to come up with $300 per month. To finance this system for 15 years our solar loan payment will be $169 per month (assuming a 740+ credit score). To calculate cash-flow we subtract $169 from $300 to produce $ 131 of positive cash flow a month. Then we multiply this by 12 months as see a positive cash flow of $1,572 a year. Simple math says that by the time the solar loan is paid off in the 15th year, you will have produced $23,580 in profit. Generally speaking, solar leasing programs attempt to focus on saving homeowners money. In our opinion the only homeowners that should enter into a lease agreement are those that cannot take advantage of the Federal Incentive Tax Credit. That being said, $0 down lease or PPA agreements include “free” installation in exchange for purchasing the solar energy produced on your roof from the leasing company. Let’s assume that a fixed rate 25 year lease can be negotiated at 0.12 per kWh. Your monthly savings will be what you were paying ($0.15 / kWh) minus your lease rate ($0.12 / kWh) which equals $0.03 / kWh. Now if we multiply 1000 kWh by $0.03 / kWh you will save about $30 / month… multiplied by 12 months is a total savings of $360 in the 1st year… and just $5,400 savings within 15 years. 3 - What's The Best Solar Financing Option For You? We offer solar financing options for every budget. Whether you want to maximize your financial returns or find an easy solar solution to save money and help the environment, there is a solar panel financing option that works for you. For individuals interested in owning their solar panel system, there are three choices to pay for their solar panel system. For individuals who have equity in their property, a home equity loan or line of credit may be a great alternative. Just remember that these loans are secured to to your personal property. Individuals with cash on hand, will make the best return on their solar panel investment because they will not have any interest charges. The focus here is on the time it takes to pay yourself back and break-even. We see the breakeven points ranging from 4 to 7-years depending on the suitability of the property for solar and the equipment choices. Solar loans are a great solar panel financing option if you want to own your system for just $99 out-of-pocket. With over 100 solar panel loans available through Green Sun Energy Services, you can finance the entire cost of your system. Some of these solar loans may be secured (using your solar panel system as collateral) or unsecured (tied directly to your personal credit). Solar panel loan terms range from 5, 10, 12, 15 and 20-years at fixed rates from 2.99% to 9.99% depending on your credit. Determining the best solar financing program for you and your family is a critical component in the formula to go solar. Once you've selected your equipment and made the smart decision to purchase (not lease) your solar panel system, it's time to discuss price and financing... and, more importantly the true cost of solar ownership. So, here is the deal with financing solar. First you should select a solar loan term that meets your financial objectives of short terms savings (longer loan term) or long term profit (shorter loan term). I want to save as much as possible right now! As outlined in the example below, the 20-year solar loan has the lowest monthly payment at just $154.48 per month, so it provides really nice short-term savings. However, when you multiply $154.48 per month by 240 months you wind up spending $37,075.2 (or $3.92 per fully financed DC watt) in total principal & interest over the terms of the solar loan. I want the lowest purchase price! Okay, we don't blame you. The lowest purchase price in the table below appears to be $30,838.06. This comes with a 10-year solar loan at 6.99%... not a bad deal. Now, let's add up the 120 loan payments at $249.38 per month to get a total cost of principal and interest of $29,925.6. GREAT, that's a LOT lower than the $37,075.2 (or $3.17 per fully financed DC watt) for the 20-year solar panel financing option. I want the lowest cost of solar ownership! Smart, although the price sticker of the 10-year, 2.99% solar panel loan option seems the highest at $34,673.17. But, the lower interest rate produces the lowest monthly cost for a 10-year solar panel loan at just $233.30 per month. Now, when we multiply 120 months of loan payments by $233.30 our total cost of principal & interest is just $27,996 (or $2.96 per fully financed DC watt). So, this is the best deal! If you are focused on short terms savings, a longer solar loan terms is best for you. If you are focused on long term savings, a short term loan is best for you --- BUT, make sure you focus on the the fully financed cost per DC watt (as opposed to the solar installation price) as illustrated in the table below. The information contained in this table is based on a 9.45 kW DC PV solar panels system. Pricing for illustrative purpose only. With a lease or PPA, a third party will own and install solar panels at your property and, in exchange, you will agree to pay them a below-market rate to use the solar electricity for the term of the agreement. But be careful, as most lease agreements include annual price escalators! So, at some point, you might be paying more than the current market rate. Choosing a lease or PPA as your solar panel financing option will help you to save about half of what a financed option will deliver. The leasing company will be responsible for maintaining the solar panels, and, at the end of the lease, will either remove them or sell the system to you at their fair market value. Because the leasing company owns the solar panel system, it – not you – will be eligible for all rebates, tax credits or other incentives offered by the government and your utility. Learn more about solar leases & PPAs, visit our FAQ page. The average New Jersey solar home gets about 50% more sunshine per day than Germany, the world leader in solar installations. According to the Department of Energy, New Jersey electricity rates have increased by about 56% in the 10 years ending in 2012! A New Jersey solar panel system is a great way to protect your family from volatile electricity prices and save thousands in energy costs over the lifetime of your home solar system. Historically, NJ has gotten about half of our power from nuclear plants and import about 30 percent from out of state. The bulk of our expanding electricity needs have been met by coal and natural gas. All of these factors keep New Jersey's electricity prices in line with the surrounding states, which remain the highest in the nation outside of Hawaii. New Jersey established the goal of obtaining 4.1 percent of its electricity from solar by the year 2028. Cumulative per-capita capacity here reached 136 W/person, with 27 W/person added in 2013. A total of 240 MW of capacity was added in 2013, bringing New Jersey’s cumulative capacity to 1,211 MW (or 1.2 GW). Part of New Jersey’s robust solar growth can be attributed to having a far more developed renewable energy market in place than others with sunnier climates. New Jersey has one of the most aggressive Renewable Portfolio Standards (RPS) in the United States. Electricity providers must get 22.5% of their electricity from renewable sources by 2021. In addition, we must also get a significant portion from solar power (at least 2,518 gigawatt-hours by 2021). With great solar incentives, it's a great time for solar in New Jersey!